An aerial image of Carpenter Valley taken June 16, 2016. While the Sierra grows in popularity among those looking to escape the pressures of city life, concerns about protecting the land and ensuring public access are also increasing. 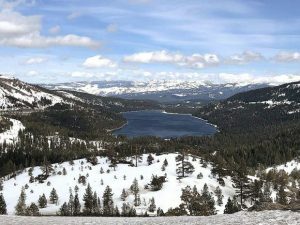 More than 1,300 acres of land north of Truckee are now protected thanks to the Northern Sierra Partnership, a $10.3 million joint-effort through the Truckee Donner Land Trust and the Nature Conservancy. “It is important to remember that the wild landscapes of the northern Sierra are critical to our future,” said Northern Sierra Partnership President Lucy Blake in a statement. The area, known as Lower Carpenter Valley, is about 2 miles north of Truckee and is a hot spot for biodiversity since it is home to many different species and habits. State wildlife officials have also identified the North Fork of Prosser Creek in Carpenter Valley as a potential recovery site for the threatened Lahontan cutthroat trout. 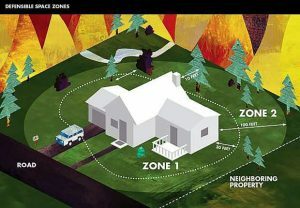 The land purchase is being made in three phases, the first of which occurred in 2016 when the Northern Sierra Partnership bought 637 acres south of Carpenter Valley and transferred ownership to the Tahoe Donner Association so that it could be made available to the public for recreation. The second and current phase of the conservation effort is the recent purchase of 600 acres in lower Carpenter Valley. The final piece is a plan to purchase an 80-acre parcel in Lower Carpenter Valley in the future. 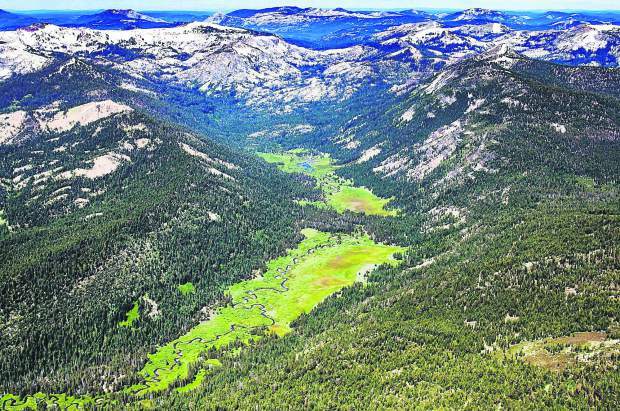 “Lower Carpenter Valley is truly one of the most stunning places in the Sierra and an extraordinary scenic and recreational asset for the Truckee community,” said Truckee Donner Land Trust Executive Director Perry Norris. The lower Carpenter Valley is area is currently only accessible through a docent-led hike offered by the Truckee Donner Land Trust because of the sensitive habit of the land. The Land Trust plans open the area up to public day use once they’ve built a parking area, trails, and interpretive signs. To learn more about the Truckee Donner Land Trust or to schedule a hike through lower Carpenter Valley, visit tdlandtrust.org. You can also learn more about the Nature Conservancy at their website nature.org, or the Northern Sierra Partnership at their website, northernsierrapartnership.org.